Framed prints. | Philip Bunting | Author-Illustrator of Mopoke. I’m opening up the tiniest of shops, stocking three kinds of framed print: Mopoke; Two pokes; and Mo’ pokes. 1. Because Mulbury are dedicated to leaving the planet in better shape than they found it. Mulbury reclaim and recycle local eucalyptus timbers to create picture frames, and in doing so save literally tonnes of timber from landfill each year. 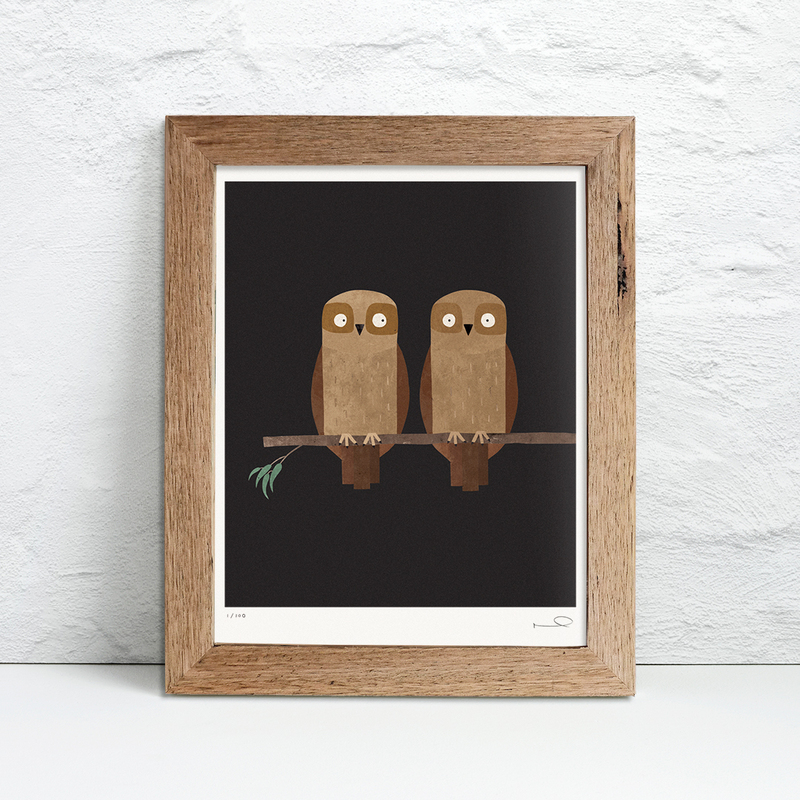 Their hand-made recycled timber picture frames are made from 100% post consumer waste. 2. Because I know mopoke would approve of the choice of hardwood. We all have an obligation to remain conscious of our consumption habits, and a responsibility to act in the best interests of our planet. Mulbury are a good example of an Australian company doing their little bit, and doing it beautifully.